﻿ Florida Snake Photograph 013 - Some people confuse the Florida Scarlet Snake for the Coral Snake. Some people confuse the Florida Scarlet Snake for the Coral Snake. DESCRIPTION: A thin snake with a small head. Rarely exceeds 20 inches. It is black, red, and yellow, or whitish yellow. 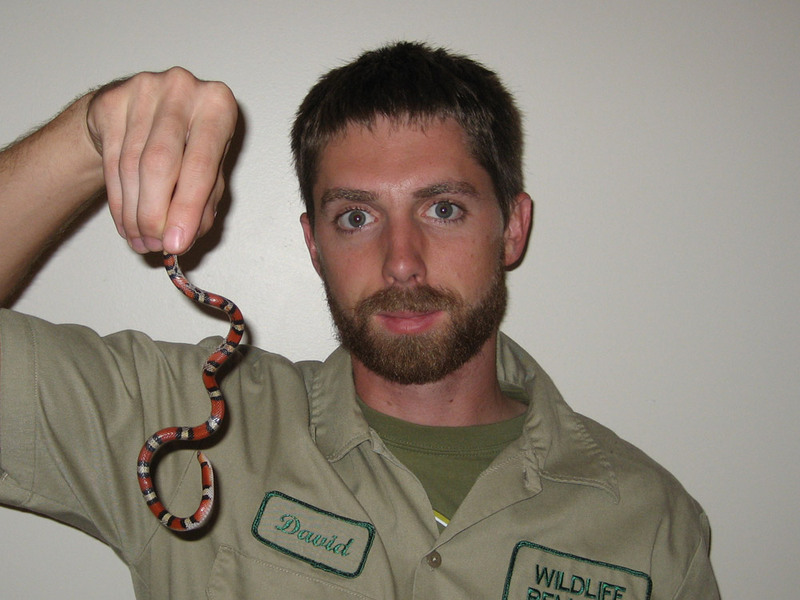 It's sometimes mistaken for a dangerous Coral Snake. Of the dozens of species native to the state of Florida, there are only a few that are as attractive as the Florida scarlet snake. A non-venomous snake, the Florida scarlet snake is very secretive – often living underground and revealing itself at night when it surfaces to hunt. The Florida scarlet snake is very often confused with the scarlet king snake, the milk snake, or the Eastern coral snake because of its similar size and coloring. Of course there are subtle differences that distinguish one species of snake from the other. For instance the Florida scarlet snake has a white ring around its belly while the scarlet king snake has a yellow ring. A coral snake usually has a rounded black snout and red rings around its body directly next to yellow rings. The milk snake has a red head, whereas the other species do not. Because of their small size (they can grow up to 20 inches) and because they rarely bite, the Florida scarlet snake has established a unique way of defending itself to avoid capture by a predator. When the snake is grasped, it will literally twist its body in all directions over and over again in an attempt to free itself. This is quite unique as many other species will normally bite, flee, or emit a strong odor (or secrete a bitter taste) if a predator attempts to eat it. When hunting, the Florida scarlet snake will kill its prey (usually frogs, other snakes, and lizards are on the menu) by constricting. In addition to the items already listed, Florida scarlet snakes have an affinity for reptile eggs. They will generally swallow the egg whole, or utilize their large teeth to break open the egg and extract its contents, if the egg is too big to swallow.